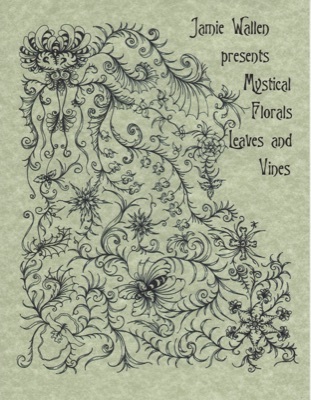 Join Jamie in this journey of transforming many variations of vines, leaves, ferns and florals into a Mystical array of surface design work. He will teach you to use these variations in your edge to edge, border, sash and block medallion quilting. 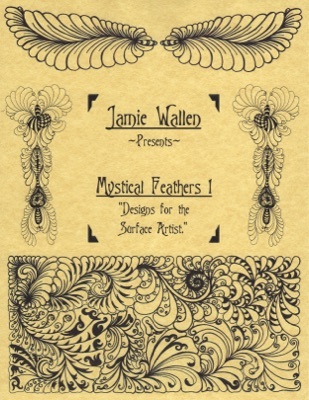 Mystical Feathers 1 covers many different ways to use the classic and new style feather fronds. No matter what form of surface art, quilting, pyrography, card arts, human ink and all of the other forms, this Workshop is a valuable addition to your instructional and visual inspirational library. Join Jamie in this journey of transforming his Trademark classic and new designs to gridwork. 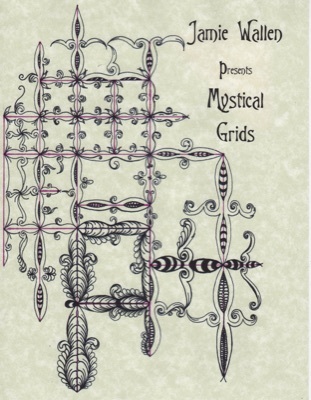 Mystical Grids covers many new, different and exciting ways to make the traditional C-curve we have used in our grid work a thing of the past. No matter what form of surface art, quilting, pyrography, scrapbooking, human ink and all of the other forms, this "Workshop" is a valuable addition to your instructional and visually inspirational library.